'Random thought of the moment. Well not so random. I've been a comic fan since the age of 6 or 7 years old. Growing up in the UK, I started out on your standard fare such as the Dandy and Beano, Whizzer and Chips (for those of you that go back that far), before graduating to Marvel UK titles (the adventures of Captain America and Bucky and the Invaders giving the Nazi's what for as I got to about 10 or so, then Captain Britain) before finally moving over to US versions of Marvel titles which by that time had started arriving on British shores in greater numbers and variety. Marvel, though, is and always has been a product of its times and can't claim to have always been a bastion of inclusion. It's treatment of it's many female characters has improved over the years and there are now major heroes and villains from all backgrounds, ethnicities and sexual orientations. What I'm trying to say, is the Marvel Universe is and always has been an ever-changing and evolving beast. It probably hasn't moved as quickly as some would want, but what the hell — it's trying to stay current and in my eyes you can't say fairer than that. I mention all of that as a way of illustrating the fact that I've been reading comics (and Marvel comics in particular) for a loooonnngg time. I now have a Marvel Unlimited account. It's a pretty good investment, if you can stand being 6-8 months behind the current crop of storylines and I am just about to embark on the Civil War II storyline that was published last year. 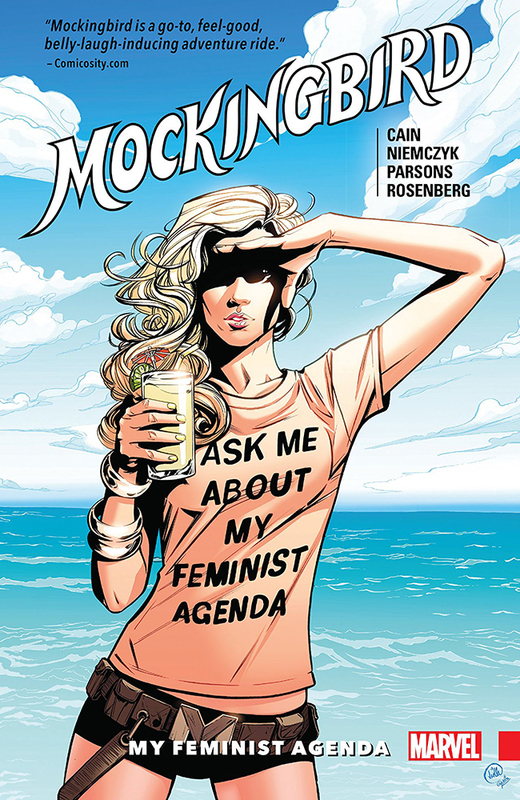 As a lead-in to Civil War II, I downloaded Chelsea Cain's truly excellent run on Mockingbird, which I believe is an inspired piece of writing! A stunningly excellent modern feminist take on a female comic book character. 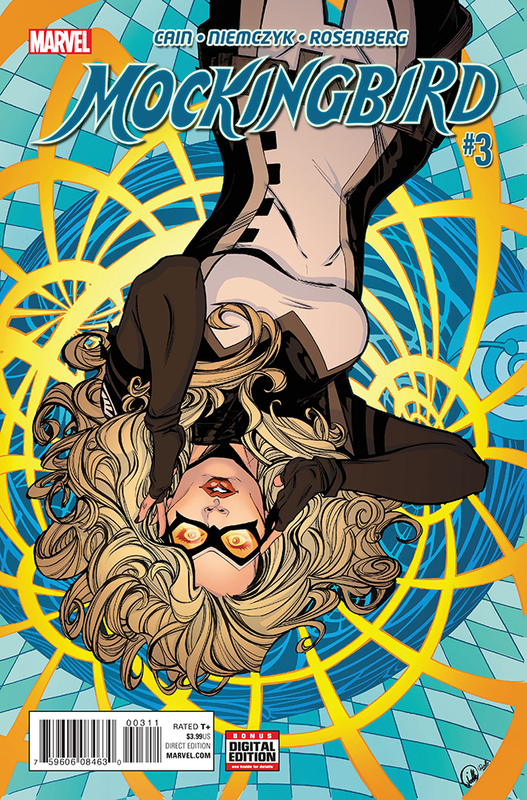 Having read issue #3, I found myself confused at the end as to what actually happened to the young mutant girl Rachel Oakley who'd lost control of her powers and ended up dangling four of her classmates in a bubble of energy a hundred feet in the air. Bobbi tells the sniper to "...get her in your sights, and then wait for my signal. 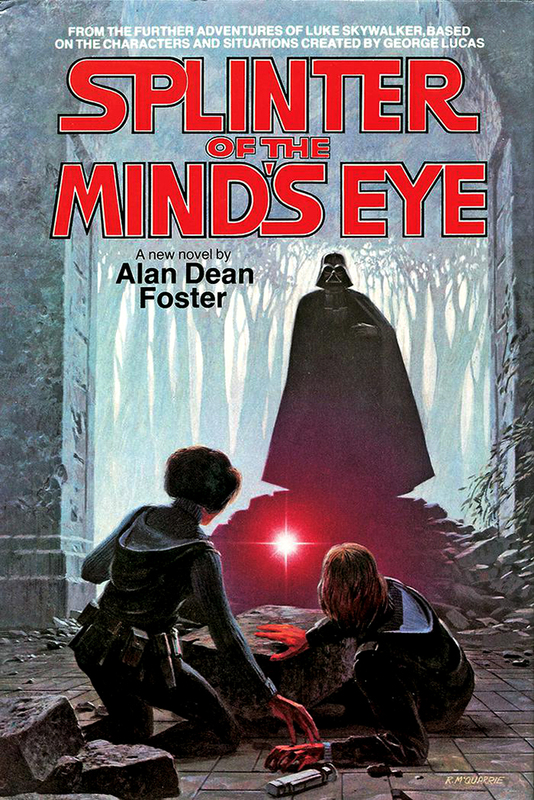 ", she points a finger at the girl, the sniper shoots, the bubble bursts and the four young girls plummet groundward. Bobbi, jumps off of the roof after them and saves them. But what actually happened? Did the sniper shoot the bubble? Did he shoot at Rachel and the shock of this caused the bubble to collapse? Did Bobbi determine that the situation was beyond salvage (at that point Rachel had already been responsible for 3 dead and numerous injured) and authorise the sniper to actually shoot Rachel — with the fact that she seemingly survived just down to some other (at that point, unknown) aspect of her mutant power, which protected her from the bullet? What actually happened???? Help those of us without a PhD in Biology out. What was Bobbi's hypothesis? Or am I being really dim and missed some something crucial in this 'puzzle-box' story? Anyway, and finally getting to the point of this whole piece. Subsequent to reading issue #3 and being totally confused by the ending. I decided to have a bit of a poke about on the internet to see if there were any theories out there as to what did actually happened at the end of the story (there are theories for everything on the internet — and some of them are indeed, pretty much 'out there'). I came up empty, but as a by-product of this fruitless search, happened upon the whole furore about Cain & Niemczyk's Mockingbird #7 and in particular it's cover. How anybody could have been so offened by the statement on Bobbi's shirt above, enough to cause Chelsea Cain to receive the kind of abuse on Twitter that she did (enough to make her close her account) is beyond me! The comicbook world has always been about people trying to do good in a world where that sort of crap didn't matter. I always believed that everybody that read comics was like me and that we were all in it together. How wrong can one person be! The internet is a wonderful thing and has benefitted humanity, no end. But it has also spawned a few things — which, again — humans being what we are make you wonder how viable as a species we are long term. fanboy /ˈfanbɔɪ/ - A male fan, especially one who is obsessive about comics, music, movies, or science fiction. With the coming of the internet and social media on the internet in particular. This particular sub-genus of humanity (the word says it all doesn't it 'boy' - there are 'fangirls' as well, but they don't seem to be anywhere near as hateful as their male counterparts) has become increasingly vociferous. They can hide behind their little screens and have a go at anything or anybody that doesn't meet their very, very narrow interpretation of what is or is not acceptable. Ben Affleck as Batman. "Oh my god, the world is going to end!" Idris Elba as Heimdall. "Oh my god, the world is going to end! ", "How dare they cast a black man as Heimdall. Heimdall is Asgardian. He's white!" 'YOU IGNORANT ASSHATS!!!'. If Asgard were a real place (it's obviously a real place), I'm pretty certain there'd be lots of different creeds and colours living there. Bravery and honour ARE NOT colour specific. A funny, intelligent and strong woman wearing a t-shirt with an iconic slogan on the front. "Let's attack, hound and villify the woman who dared to use those words in OUR precious comic books." So, this sort of stuff does matter to a very small minority out there and what I want to say to those individuals, as the Father of a young girl who I'd like to think will grow up one day to be able to do and say whatever the hell she thinks — and the point of this rather long-winded diatribe is: you need to step the f**k off! Leave the intelligent discussion to the 'adults' and go back to your little 'troll' caves. We — and by 'we' I mean the majority of us in the Universe — can do well without you! It's a shame Marvel cancelled the series, it was building into something quite amazing. As is the current run of the Scarlet Witch and the All New Wolverine starring Laura Kinney as X-23. My message to Ms Cain (although it's a little bit late now) would be: 'don't give up on the comic world', there are some idiots out there, but that shouldn't mean the rest of us shoud be deprived of your talent.